Head from hardwood to carpet for quick and easy full-house cleanups with this Dyson V7 Motorhead vacuum in hand. The direct-drive cleaner head dives deep into your rugs, getting up dirt from even hard-to-reach spaces. Disconnect the handle of this Dyson V7 Motorhead vacuum, and you've got a cordless handheld vac for simple sweep ups of spills. Trigger releases instantly. Battery power is only used for cleaning. Up to 30 minutes of run time. 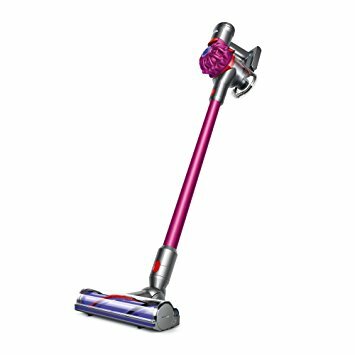 The Dyson V7 Motorhead Vacuum was added to the Vacuums category in April 2018. The lowest price GetPrice has found for the Dyson V7 Motorhead Vacuum in Australia is $399.00 from Appliance Central.